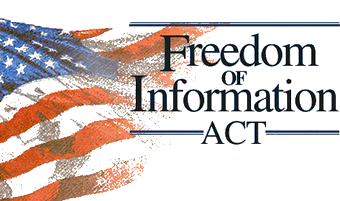 The House of Representatives yesterday approved the Freedom of Information Act Improvement Act, which had previously been adopted by the Senate. If signed by President Obama, as expected, it will strengthen several provisions of the FOIA and should enhance disclosure of government records. The bill “reaffirms the public’s right to know and puts in place several reforms to stop agencies from slowly eroding the effectiveness of using FOIA to exercise that right,” said Rep. Mark Meadows (R-NC). I realize people will understandably be cynical, but I think this is at least a step in the right direction. Hopefully we'll have more transparency. Glad to see the Chronicles back in business! Great to see ya posting again, Frank!